Welcome to th Graveyard Shift, hosted by Kotaku’s reader-run blog,TAY. Feel free to join in the topic discussion, talk about anything here, or check out the other articles on TAY, AniTAY and TAYClassic Is this is your first time on TAY? Then scope out this TAYTorial! 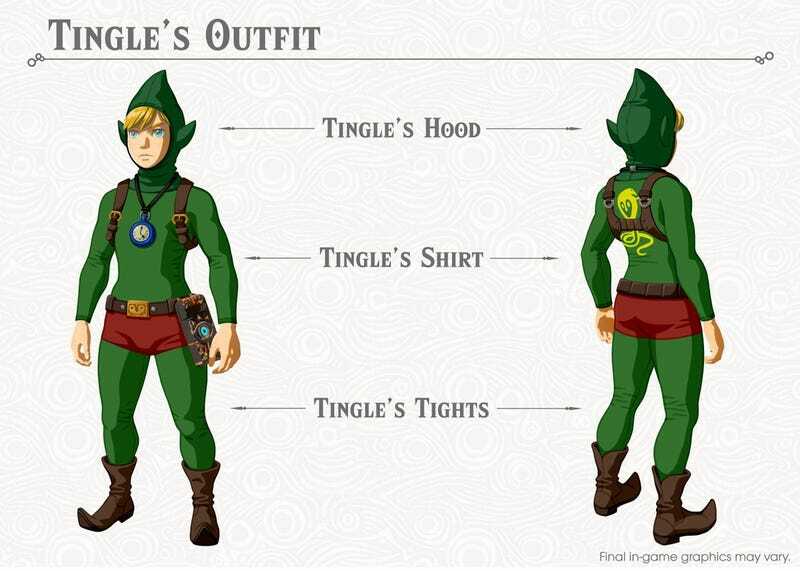 So I just found out that Breath of the Wild is getting a Tingle Costume as part of the DLC that’s going to be released sometime this summer and I cannot freaking BELIEVE IT! You might find it kinda difficult to understand but Tingle is one of my favorite characters in Zelda. Why? I really don’t know. It probably is because Nintendo pushed hard the character to become a thing during the experimental days of the DS and managed to release a bunch of bizarre titles with the fairy-wanabee 35 year old. Alongside the best outfit ever Nintendo also released a bunch of information regarding the upcoming pack. Including more details on the Hard Mode and the Map Features. What’s your favorite DLC of all time? Also I’ll be streaming some EarthBound tonight so feel free to join me on Twitch!